Wilson Hot Water manufacture Steam (Boiler) Water Feed tanks using Grade 2205 stainless steel. 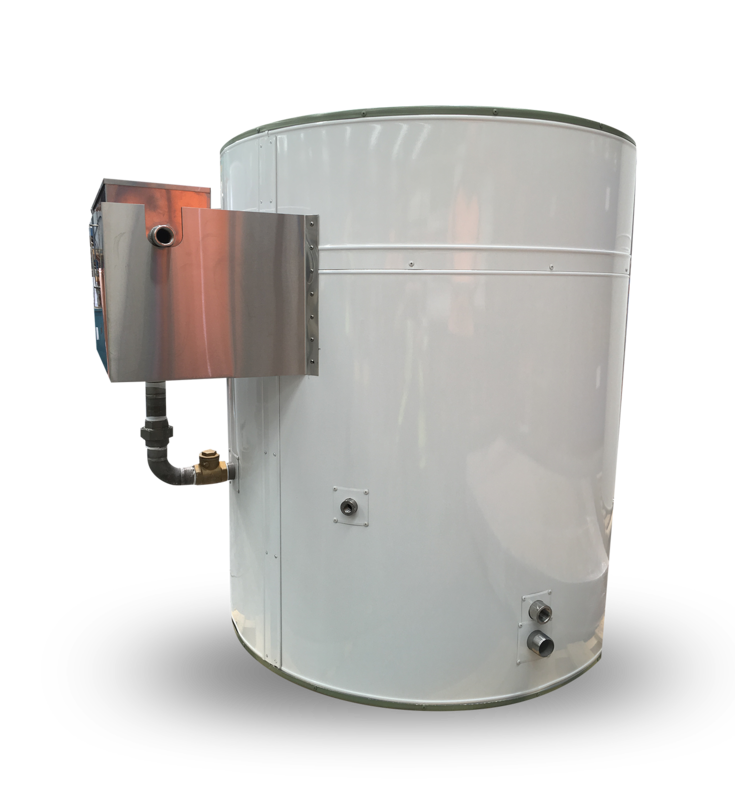 Standard tanks are insulated with heavy duty rockwool – or polyurethane foam insulation and clad in a colorbond outer casing. Using the high grade Duplex 2205 stainless steel means chemicals can be directed straight to the steam boiler feed water line which reduces the requirement to treat the feedwater in the tank, saving on chemicals. Boiler feed water tanks in a steam plant is usually where cold make-up water and condensate return to meet. Wilson Hot Water manufacture these vessels with a separate break tank including a ball float which supplies the cold make-up water. All large capacity tanks have fitted as standard a 450mm insulated billy lid style manhole for inspection and cleaning. The main objective of the boiler feed tank is to reduce the free oxygen from the water prior to the water entering the boiler. The make-up water has to be softened and treated to prevent scale formation on the boiler heat transfer surfaces as cold water absorbs free oxygen and other gases that are liberated when heated above 82c. The operator of the boiler should engage a reputable feed water treatment company to supply and maintain the boiler feed water as scale build up is a problem. Scale does not transfer heat well and causes the tubes to fail by getting too hot.